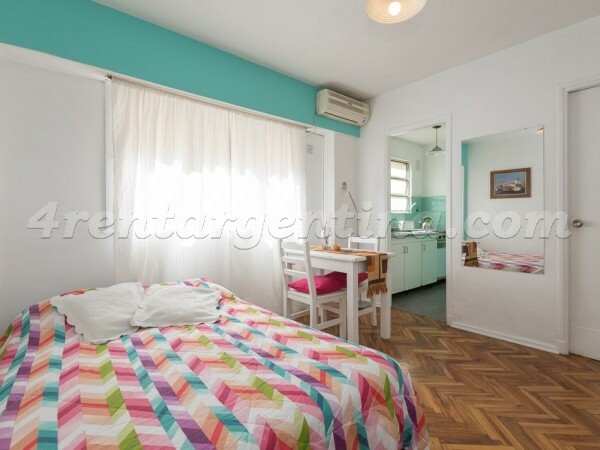 Comfortable furnished apartment for temporary rent in Argentina, located in Palermo neighborhood, two blocks away from the re-known Santa Fe Avenue, where you can find a great variety of shops and restaurants. 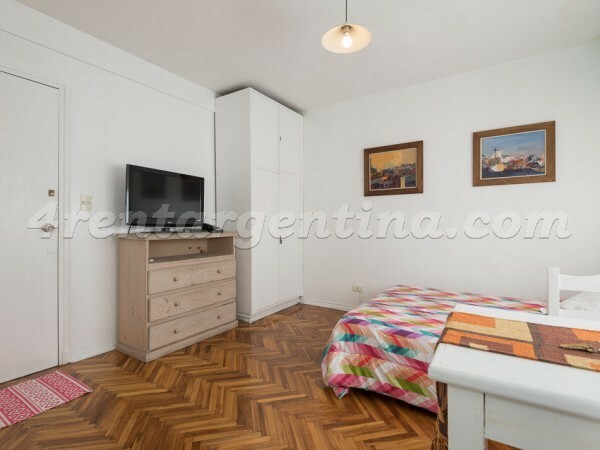 Only three blocks away from Alto Palermo Shopping. 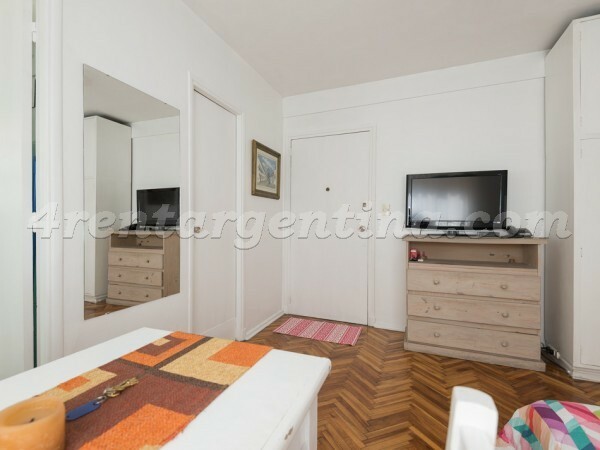 This beautiful apartment in Buenos Aires has wooden floors and white walls, and it is luminous. 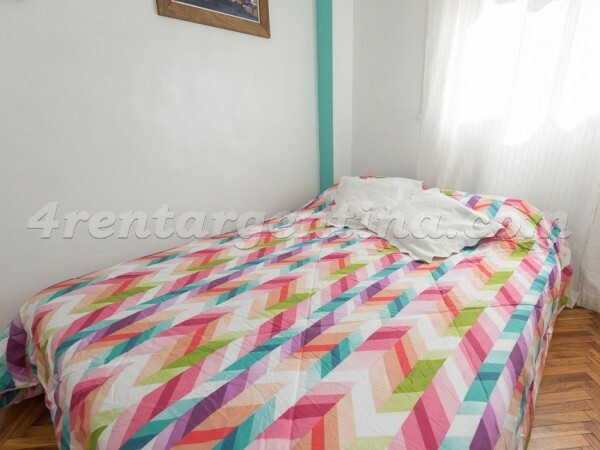 Ideal for two people, it has a double bed. 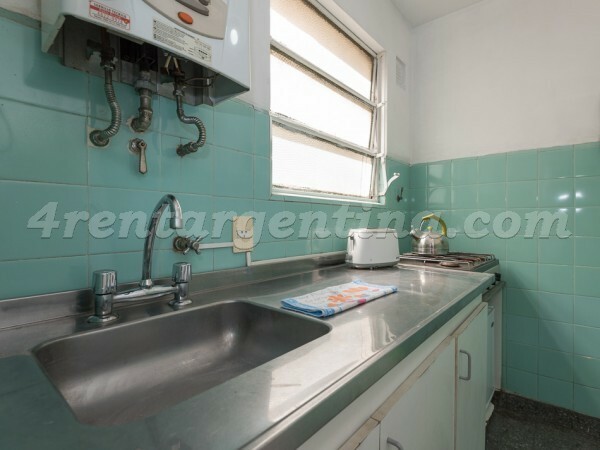 Besides, it has a fully-equipped kitchen with electric oven and a complete bathroom with bath. 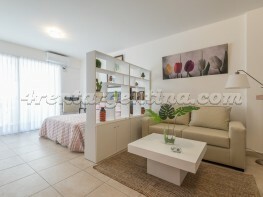 It is equipped with air conditioning and cable TV. 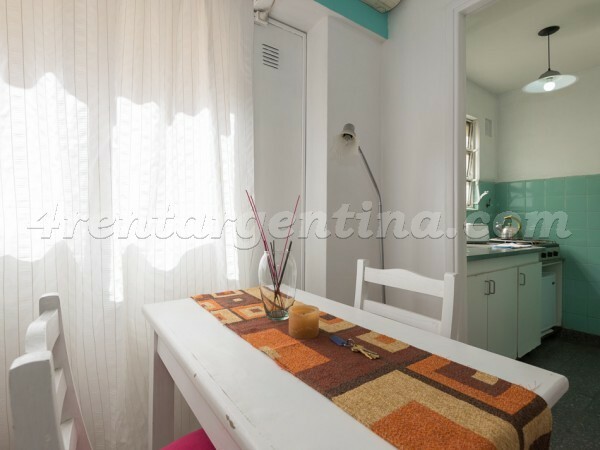 It´s one of the most recommended options in the section of temporary rent Palermo. We invite you to watch the video tour to make a virtual tour of the department. 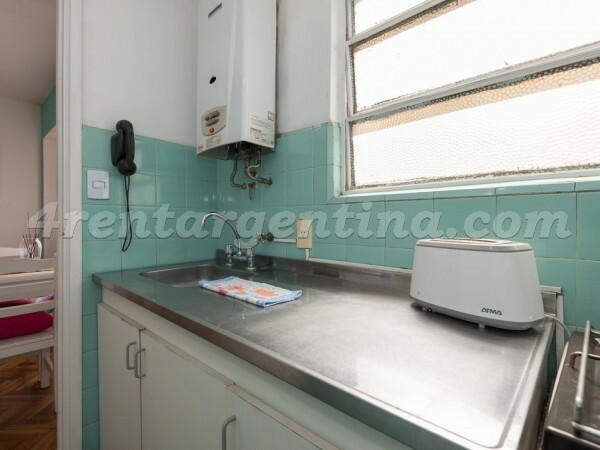 Me he sentido muy còmoda en el departamento, tiene todo lo que necesito para mi estadìa en Bs As la atenciòn de todos muy buena eficiente y seria, la zona inmejorable y la seguridad tambièn. Muchas gracias. A excepción de un inconveniente con el inodoro que fue solucionado. No tuve ningún problema, todo tranquilo y la ubicación es muy buena. Gracias por todo. 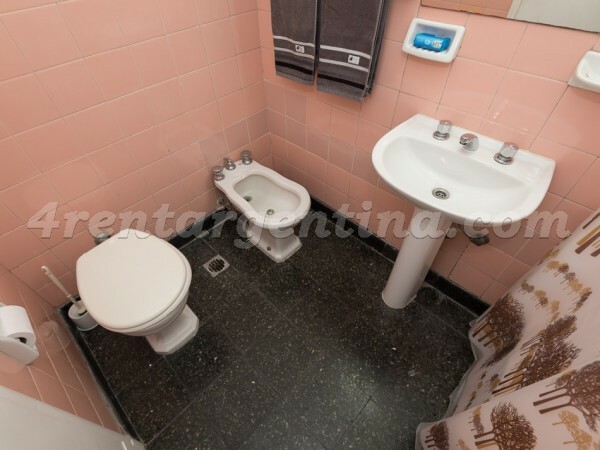 Departamento muy lindo y organizado! 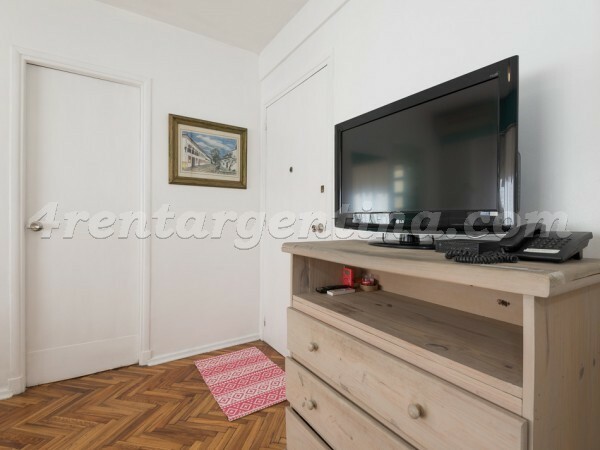 Un mono muy comodo, bien equipado, buena ubicación (4 quadras de Av. Santa Fe/Estación Agüero). La pasé bien! 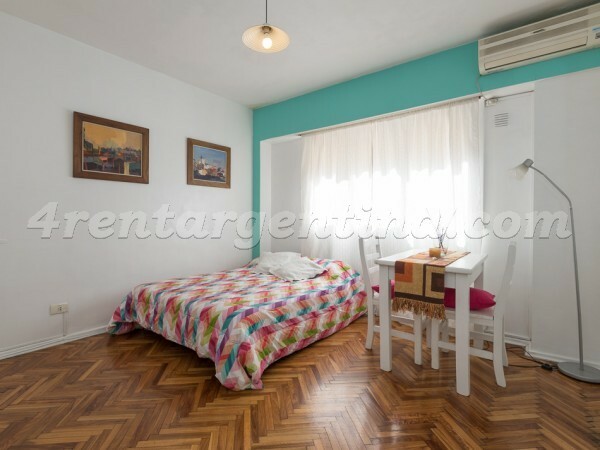 Me pareció como a un hogar. Perfect for my stay. 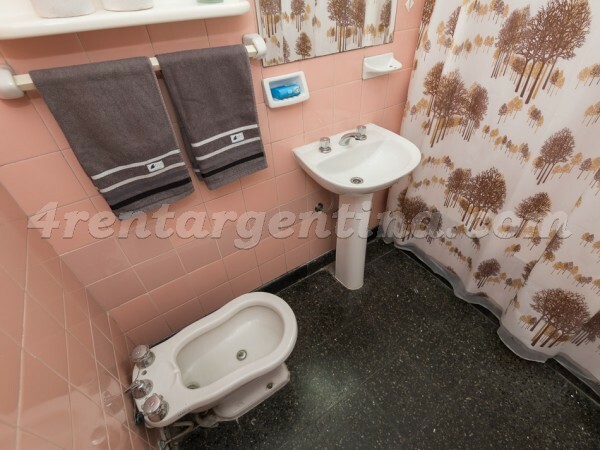 Very close proximity to Subte and Alto Palermo. Would definitely stay again for my next trip. 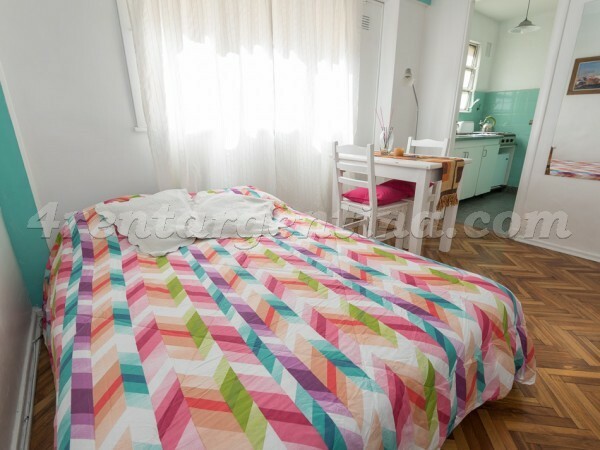 While lacking in decoration, it was very clean and quiet at night. The apartment was perfect for us. Fantastic location, had everything we needed. The kitchen was small but again it has everything you need. We would definitely stay here again. Check in was easy and they let us leave our bags at their office after check out as we had to leave at 7pm. La pasamos muy bien. La zona es espectacular y muy segura. Atencion rec omendable y muy agradable.